Tonight on GeekNights, we have our final thoughts on the full run of Adventure Time. It's a phenomenal show: there's no other way to say it. We did a mini review back in 2014. Rym didn't even start watching the show until What Was Missing premiered. From the original short in 2008 to the perfect last episode, this show is a treasure. In the news, Castle of Cagliostro and Penguin Highway are playing in NYC, Monkey Punch has passed on, and you can finally read the end of Initial D. Our Rare Game Mechanics and The Real Harm of Games panels are on youtube! Tonight on GeekNights, we consider the humble Bookmark. They were more important back when there were more web sites, when we used to talk about things like del.icio.us. In the news, PC Part Picker launches a Bike Part Picker, Cyber insurance doesn't cover acts of war, Notre Dame has burned, Pepsi probably isn't going to advertise in space, but if they do we'll shoot them down, and Brooklyn is under a (completely justified) mandatory vaccination order. Our Rare Game Mechanics panel from MAGFest is on youtube! Tonight on GeekNights, along with special guest Judith of Gay Breakfast fame, we consider the surprisingly common situation wherein one is confronted with water in the ceiling. In the news, white people are weirdly obsessed with throwing axes, the real NHL draft is something to see, and the next GeekNights Book Club book will be Troy Denning's Pages of Pain. Live at PAX East and Zenkaikon! GeekNights will be live at PAX East 2019! In the 80s, we were told Dungeons & Dragons would make us all satanists. In the 90s, first person shooters and Mortal Kombat were supposed to make us all murderers. Games have joined the long and storied history of books, music, movies, and television being primed to destroy us all. Thankfully, most of the fears around how games might harm us have proven false, misleading, or downright ridiculous. So what’s left? Lootboxes? What is the REAL harm of games? And what can we do about it? We will also be at Zenkaikon 2019 with three talks! Hope to see you at both! Back to back convention weekends for all! Some game mechanics are common. Drafting cards. Rolling dice. Choosing actions. Worker placement. They are used in many games for a variety of reasons. But what about the weird ones? Ever play a game with a Rondel? Experience the glory of a "Promise Cube?" Wait until we talk about what can only be described as "Bohnanza Hand!" Join the GeekNights crew for a deep exploration of the rarely used (sometimes for a reason) mechanics of tabletop games. 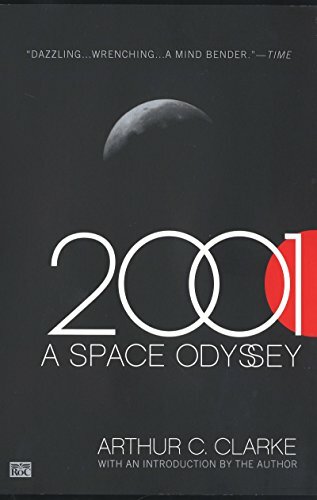 In 1968 Stanley Kubrick released one of the all-time classic movies, "2001: a Space Odyssey". Until recently I had thought that this movie was based on the book of the same name. That is not the case. What actually happened is that Arthur C. Clarke was writing the novel and also working on the screenplay with Kubrick simultaneously. The novel wasn't actually published until after the movie was released. It would be impossible to maintain our pride as geeks without having read one of the most well known sci-fi novels of all time. It will be fascinating to see how it differs from the movie. I'm especially interested to see how the more psychedelic parts of the movie translate to written language.